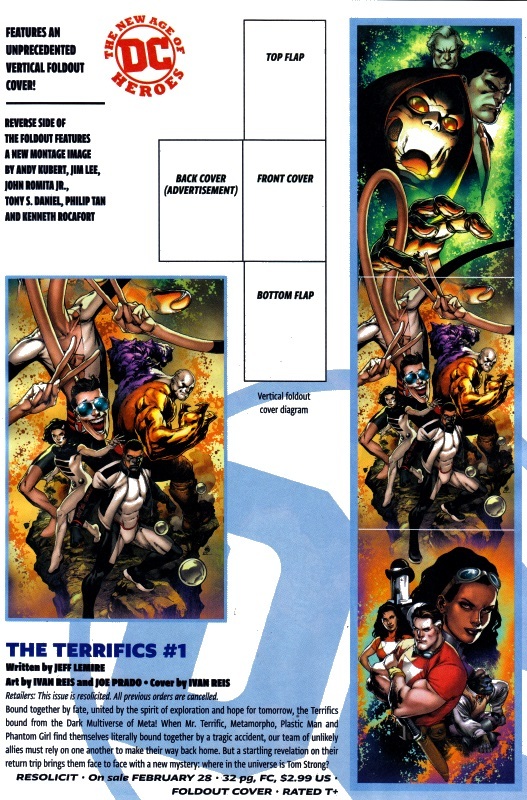 The Terrifics by Jeff Lemire will be on my pull list next year, partly because it’s Lemire and I like most of his stuff, but also because it’ll be featuring Tom Strong. 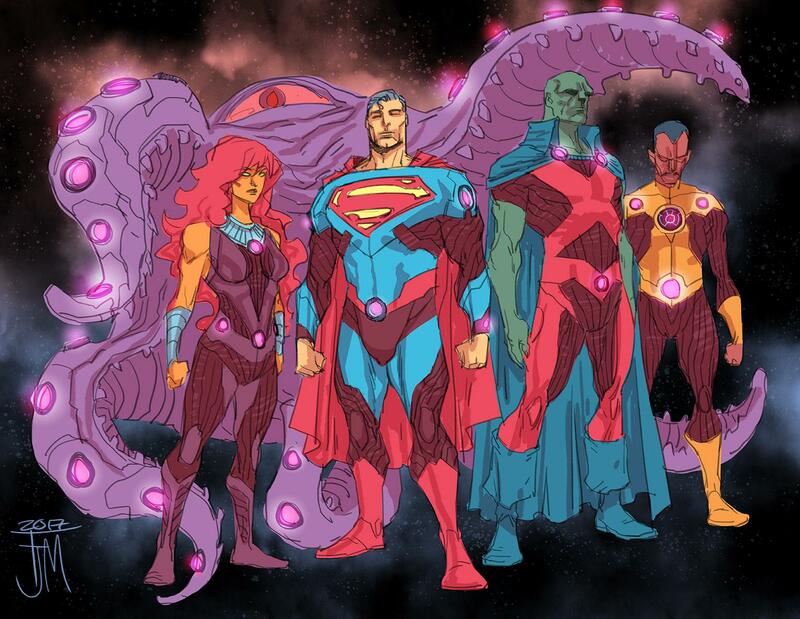 Not only are the Watchmen joining the DCU, but now Tom Strong is, too! 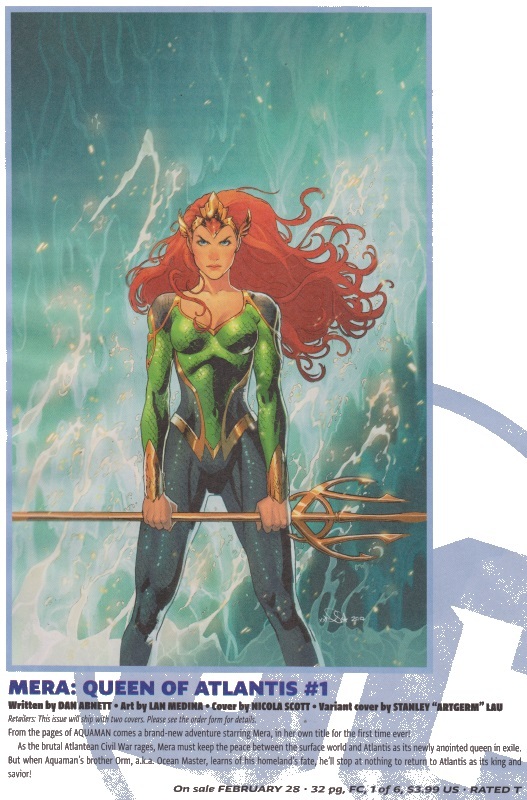 Mera: Queen of Atlantis is also going on my list; I like Dan Abnett’s work on Aquaman so this mini-series is a definite. 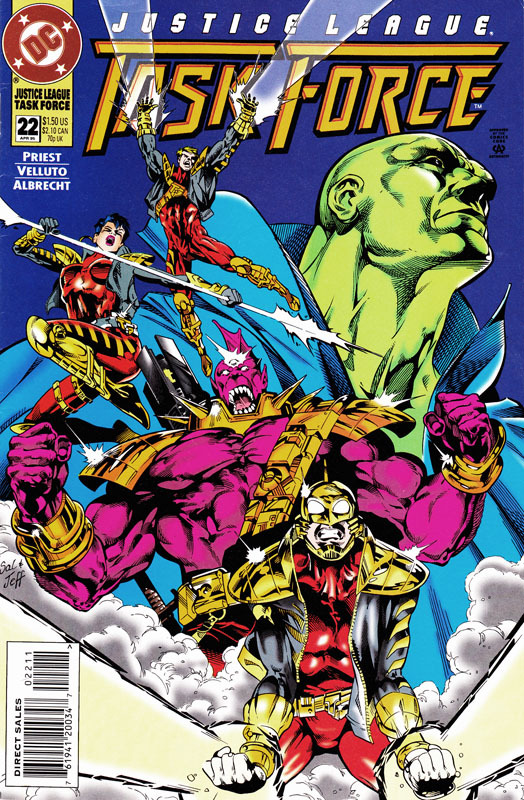 Farewell to Blue Beetle as #18 will be the final issue; a shame as Chris Sebela never got to find his feet, really. 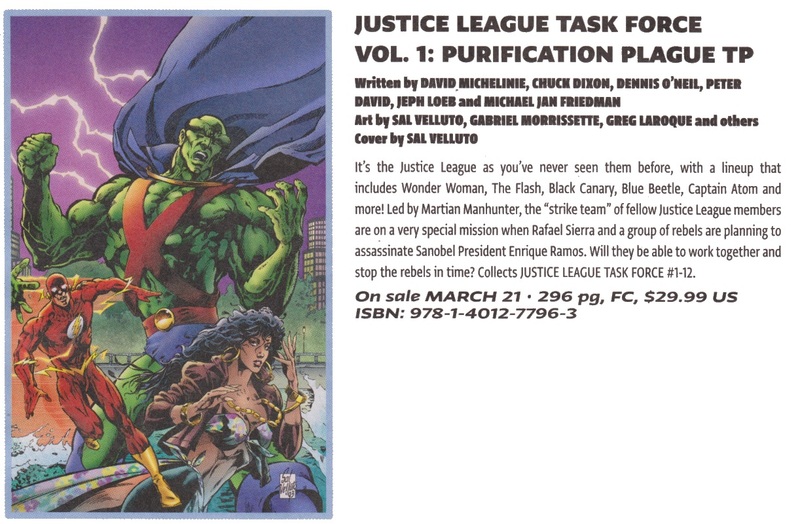 Okay, did anyone else see the trade paperback of Justice League Task Force turning up? 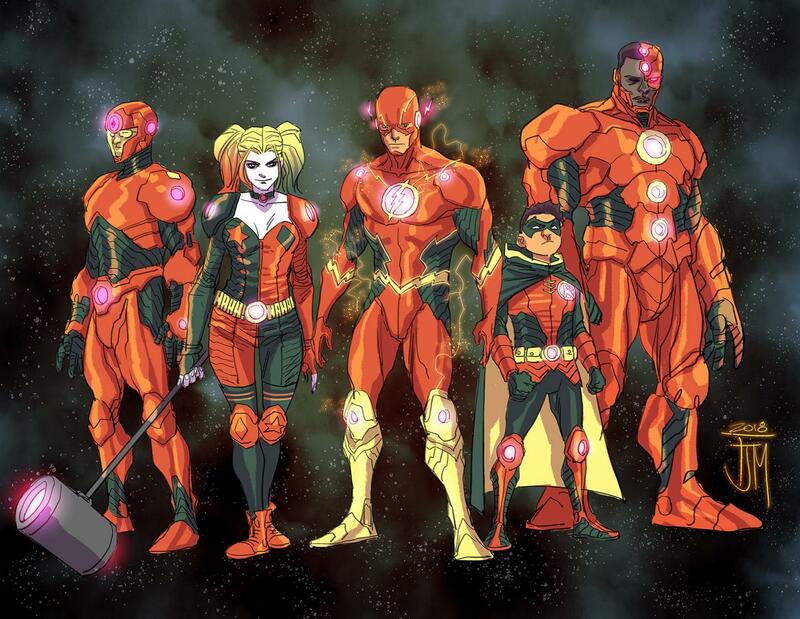 What next – the Absolute Extreme Justice? 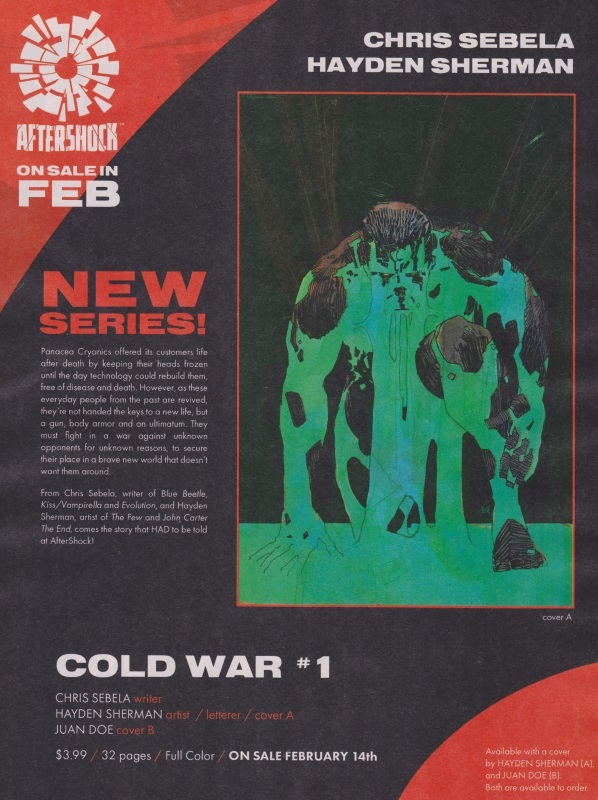 Talking of Chris Sebela, I’ll be giving him another go in Cold War, a new series from Aftershock who, with Animosity, Jimmy’s Bastards, Babyteeth and others have yet to disappoint me. 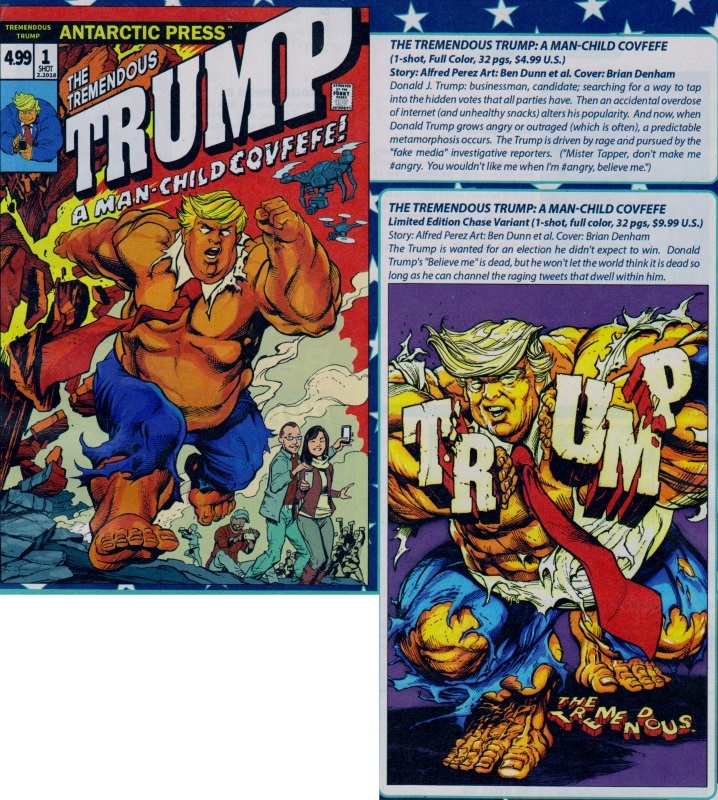 And here’s the problem with the lead-in time to do comics – the whole Donal Trump/Covfefe thing happened back in May and we’re only now getting a comic on it?! 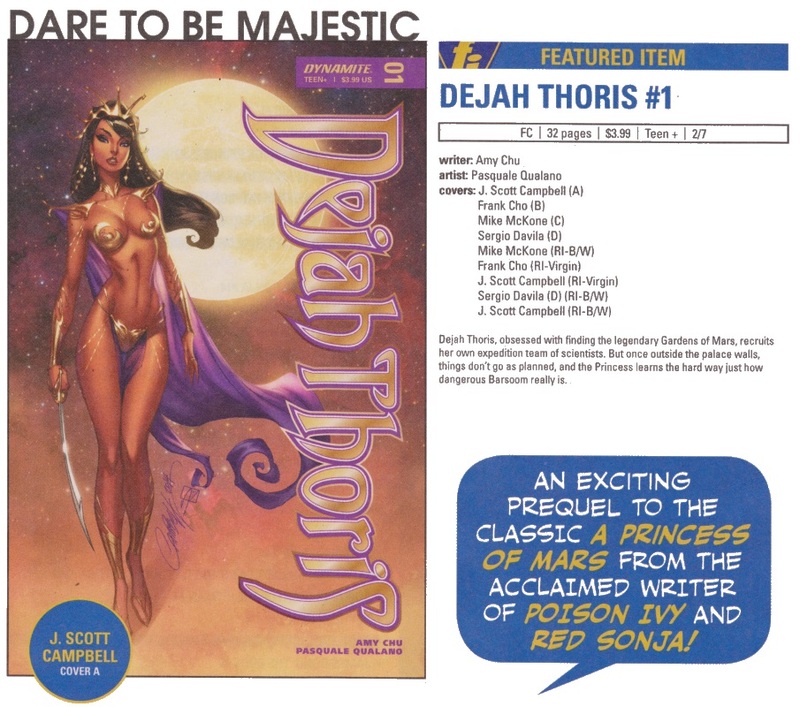 Dejah Thoris gets another stab at a title, this time as a prequel to A Princess of Mars. As I like a bit of Edgar Rice Burroughs, I’ll be giving this a go. 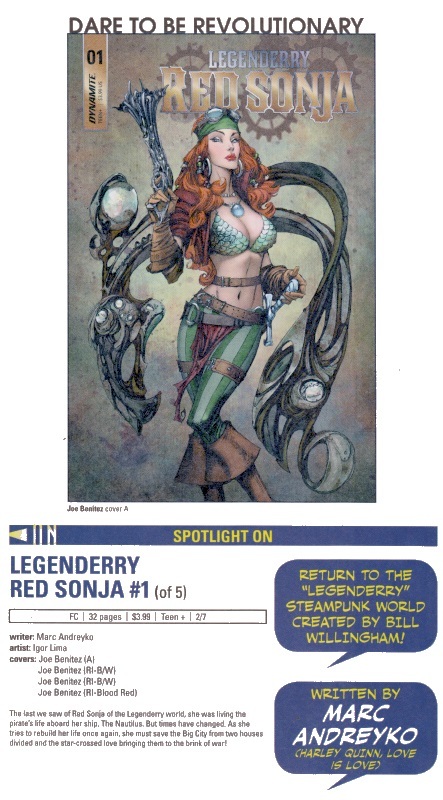 And we’re heading back to the Legenderry world again with a Red Sonja mini-series. I enjoyed the original Legenderry story and the follow up mini series (with the exception of the absolutely god-awful The Precinct) so am willing to give this a go. 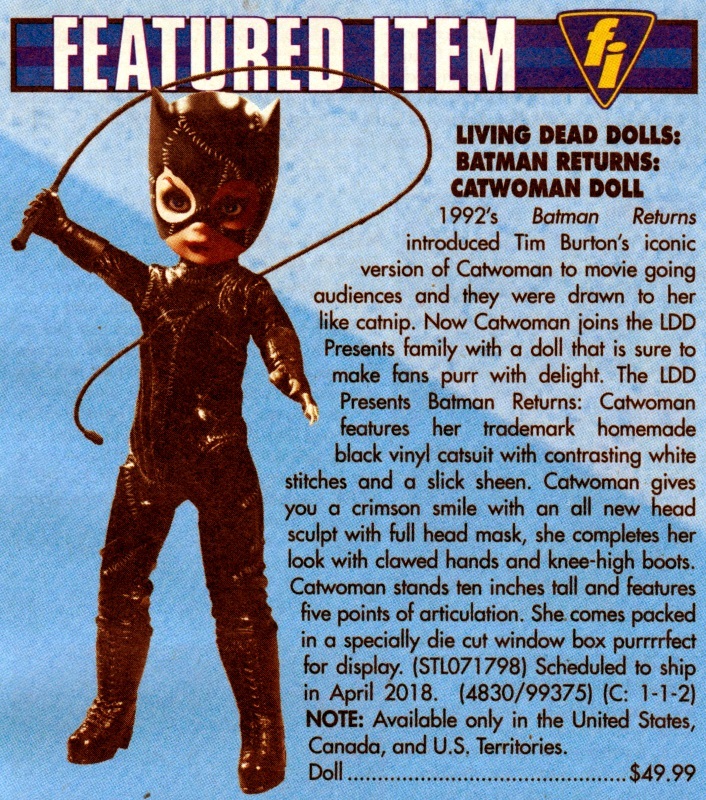 I know this is a “Living Dead Doll” but am I right to be creeped out by it? 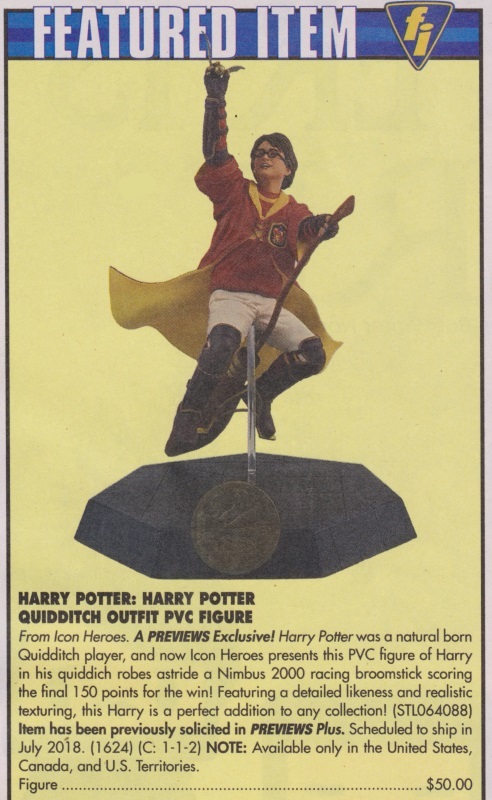 Click on the above image – I know that translucent pole is meant to aid in the suggestion that young Potter is flying on his broom stick but surely they could have placed it in a better, more comfortable place? I’m surprised he can concentrate on the game with that thing up his arse. Seriously, Japan – have a word. 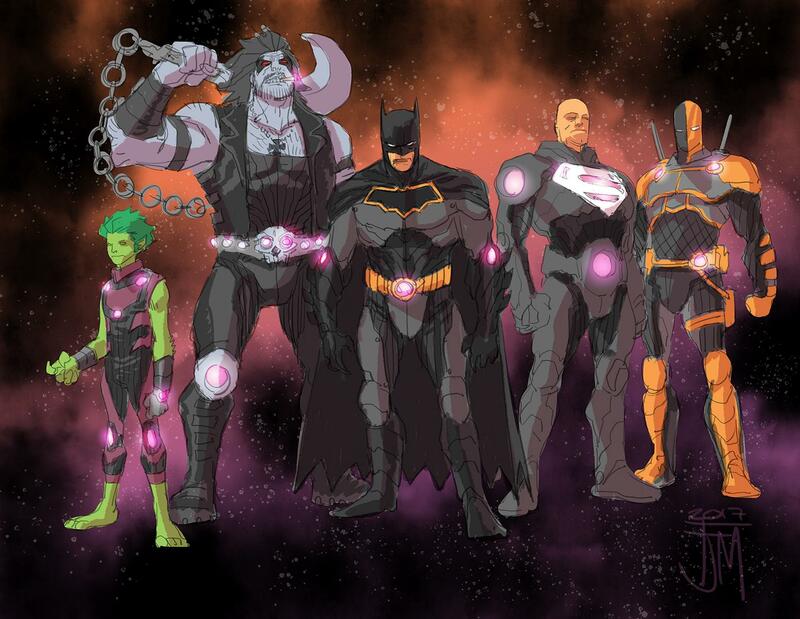 And finally, to cleanse you from the previous image: hey look! There’s an evil BB-8 droid! 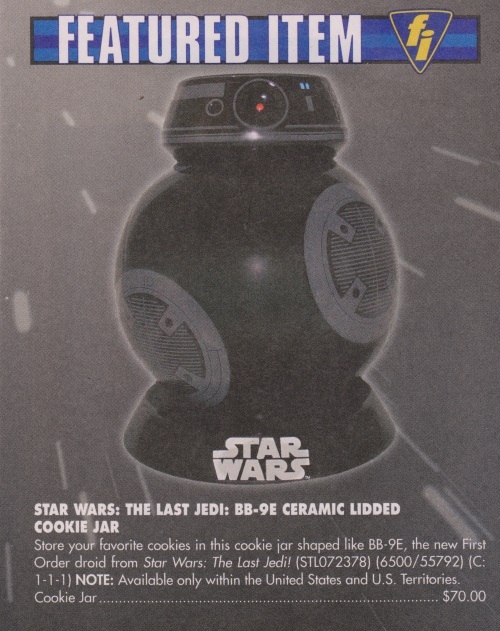 Screw the Porgs, I want a BB-9E cookie jar! 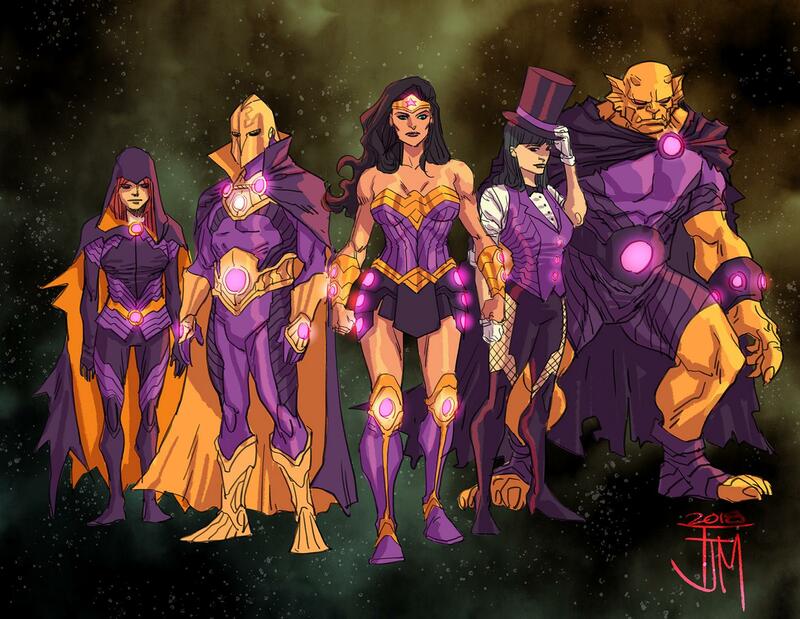 Posted on Sunday, December 10, 2017 Monday, October 15, 2018 by GaryPosted in PreviewsTagged Blue Beetle (Jaime Reyes), Dejah Thoris, Justice League Task Force, Mera, Mr Terrific (Michael Holt), Red Sonja, Tom Strong.